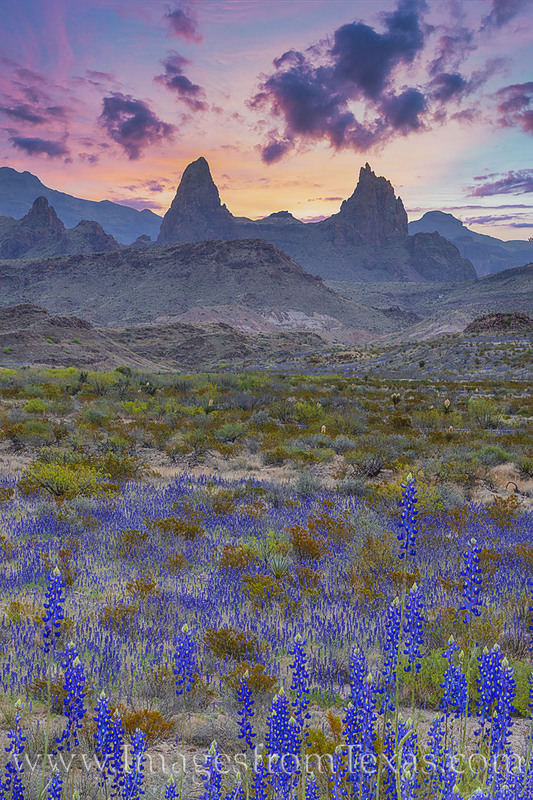 The color of blue stretched into this small valley as the linering smell of bluebonnets filled the morning air in Big Bend National Park. In the distance, the iconic Mule Ears rock formation rises into the pastel sky. The bluebonnet bloom of 2019 was the best on record according to both the locals and park rangers. The colors of the landscape - painted in streams of blue - seem to stretch in all directions. Photo © copyright by Rob Greebon.